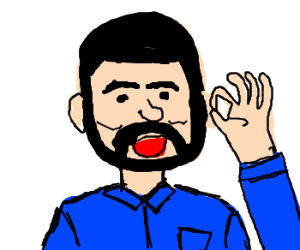 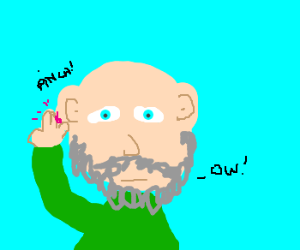 Man with beard pinches his ear. 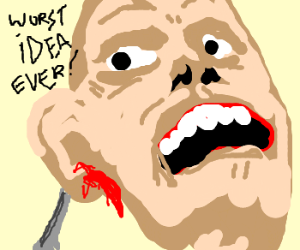 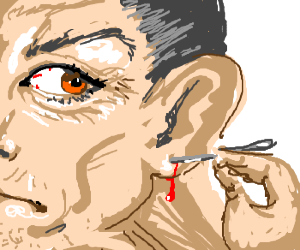 An old man pierces his own ear. 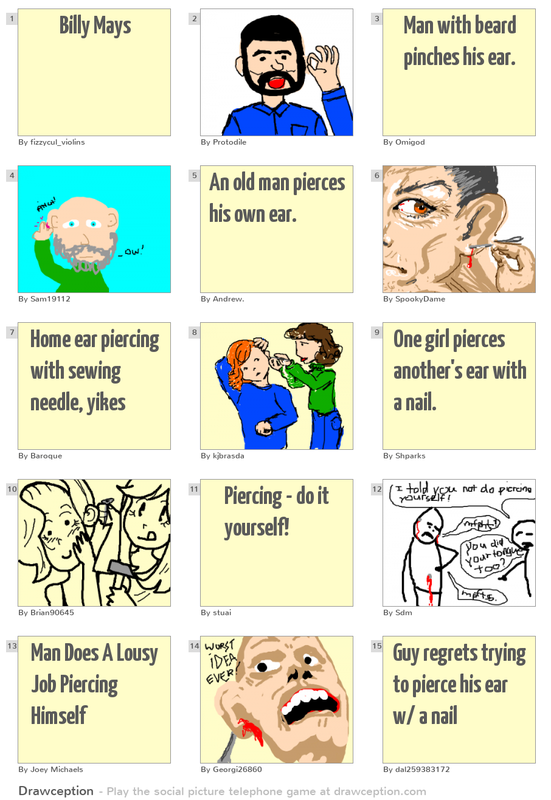 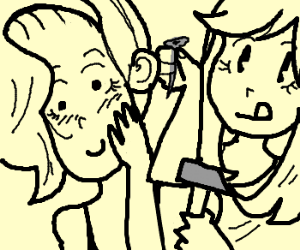 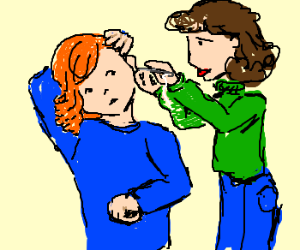 One girl pierces another's ear with a nail. 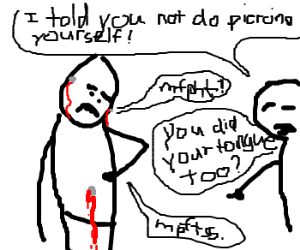 Piercing - do it yourself!